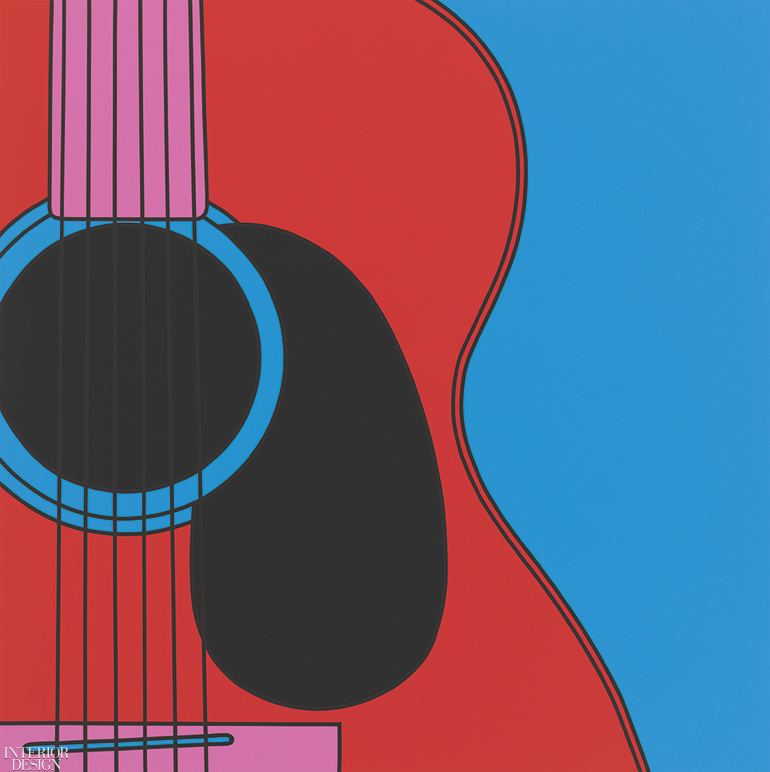 Michael Craig-Martin’s Untitled (guitar fragment), a 2018 acrylic on aluminum, is at the Gallery at Windsor in Vero Beach, Florida, through April 25. Photography by Mike Bruce. everyday objects rendered in pre­cise, bold outlines and vibrant colors, perhaps a result of his studying under Josef Albers. 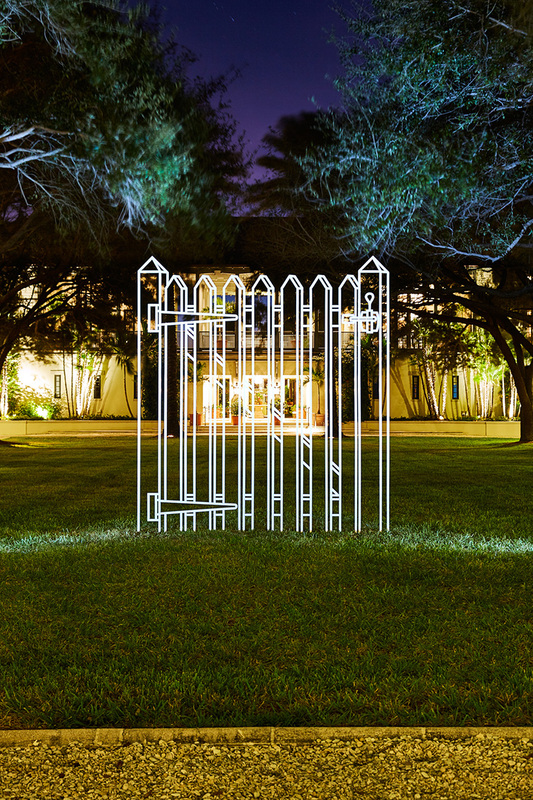 Six of his additional artworks, powder-coated steel sculptures, dot the Windsor grounds, marking the first outdoor exhibition for the gallery. Craig-Martin and Perry exhibiting at Windsor are the result of a three-year curatorial partnership begun in 2018 with the Royal Academy of Arts in London. The third artist will be announced this fall. ONLINE EXCLUSIVE. 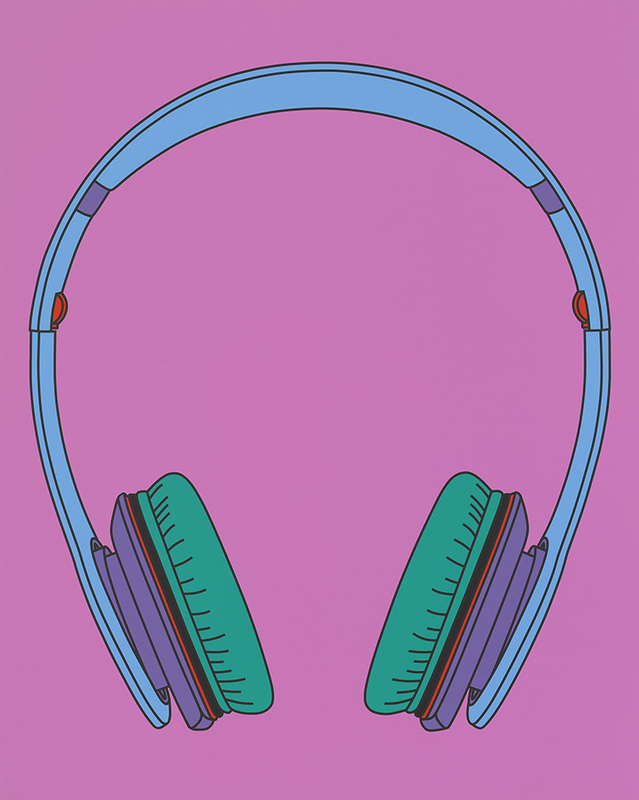 Untitled (wireless) by Michael Craig-Martin. Photography by Mike Bruce/courtesy of Gagosian. ONLINE EXCLUSIVE. An outdoor sculpture by Michael Craig-Martin at the Gallery at Windsor. Photography by Aric Attas.